Because we rent our Beach House from Saturday to Saturday it gives us one day to unpack and unwind before jumping back into the work week. It also gave me some time to harvest the gardens. As you may have noticed, I have said very little about my gardens. Nope, not hardly at all because they have been such a HUGE disappointment! This year I added a bigger veggie trug and purchased some Miracle Grow raised bed soil from Lowe's, thinking it would be great. First mistake...from the moment I opened the first bag, I was concerned because there were so many big chunks of wood in it and I know wood can rob the soil of nitrogen, but being the trusting person that I am, I figured that they had balanced it somehow. Holy Moly, I have never seen a garden fail like this bed has. I swear that the soil is toxic! So this year it was just herbs, lettuce and grape tomatoes that thrived. All of these were planted in the other 2 smaller beds that I have. Unfortunately I topped them off a bit with the Miracle grow as well, so they have not thrived as much as they usually do, but then again the lack of warm weather and sun at the beginning of summer might have something to do with this as well. This weekend, I will be empting the big bed and getting rid of all of the soil. Trust me don't EVER buy this soil!! I looked online to see if others have had problems with it and oh my, the stories I read. Needless to say I will buying some good composted local soil to fill this bed along with with some peat and vermiculite. So while I harvested the garden and tidied up the house and shop, Ken spent a good part of the day mowing the lawn and trimming. When it was all finished, he wanted to sit outside and pretend that we were on vacation for just one more day, so pretend we did on this warm summer night. I am super good about posting pictures on FaceBook or Instagram, but not so great about keeping up with it all here. It's amazing to me what a society of "quick and instant" we are slowly becoming. Some of it is good because it is easier to stay in touch with friends and family and some of it is not so good...the loss of taking the time to write and the lack of attention it sometimes takes to read more than a short paragraph. For the last 6 years Ken and I have spent the 3rd week of August on Cape Cod. In previous years we stayed in a very quaint cottage, but this year we decided to try a different house that included a/c in the bedrooms and boy were we ever happy to have it on the super humid days during the middle of the week! While we had seen pictures of this home online, we were so very happy to see it in person. It was the perfect little (and it was little) house for us! We spent so much time on this screened in porch both with our morning coffee and evenings playing games, sipping wine/beer and just talking about our day. My kids will laugh to know that I actually "enjoy" playing games now. When they were little, it was always Ken who played games with them because they knew that Mom really didn't enjoy it that much. I would give in however and play on "family game night" on New Years Eve every year. I credit Carole and Dale for getting me hooked on the games that we love to play. In fact they taught us a new one this year...Mexican Train and I love it! Speaking of Carole and Dale, we were fortunate to spend a lot of time with both them and their family who we have come to know and love over the years. On this day we took a drive over to Denis and had lunch at the Sesuit Harbor Cafe. What a little gem of a place and the food...SO good! On Thursday Carole and I took another trip over to Denis in her fun mustang convertible! This time we went to Eden Hand Arts, which is one of my favorite places to go. Tucked away in this teeny tiny shop are the handmade designs of John Carey, now made by his son in law. Each year I save money to make a purchase (or two). I love the unique designs and of course the sparkle of shiny silver and gold. Last year I bought one for my youngest daughter as a gift for watching my dogs and one for my granddaughter who came to the Cape with us...they both love their bracelets too! A lot of our days were spent just enjoying the sunshine, sounds of the waves and the busy little sand pipers running in and out of the water. I don't think that anyplace else in the world makes me happier and more content than being at the ocean, although the lake is becoming a close second. The waves are always so soothing, always coming in and then going out...every.single.day. I miss it already! When I posted this picture on FB one of my friends mentioned how beautiful a shawl would be designed around this picture and I can definitely envision it with the beautiful soft blue against a lacey white edging. Now if I could only design..ha! I'm betting though that I can find a pattern on Ravelry which might work well. When we were not at the beach we took a few side trips to places that Ken has always wanted to visit. We went over to Hyannis one afternoon to the JFK Museum. As a girl who grew up just outside of Boston, it was so special to see all of these old photos. Someday I hope to go to his library in Boston as well. We also took a trip over to the Sandwich Glass Museum. Such an amazing array of beautiful glass through out history and even more amazing is how much of these delicate pieces are still intact. This year we went out to eat more than we usually do. Not having children with us made it a bit more affordable and a few Christmas gift certificates that we tucked away made it even more so. My daughter Ashley gave us a gift card to one of Ken's most favorite restaurants, Anejo and he enjoyed every single morsel!! Thanks Ash!! It's hard to believe that another year has come and gone just like that and there is already a taste of Fall in the air up here. See you next year Cape Cod!! So my goal this year was to bring a little more harmony and organization into the chaos that I call "my life". A few weeks ago I read this post on my friend Amy "Spunky Eclectic's" blog and I thought that I could use something like this to move closer to staying on top of things now that my free time is a lot more limited. after seeing Amy's bullet style organizer and visiting the Filofax website, I bit the bullet and hit the order button. I also ordered different types of prompt inserts that I think I will make it easier for me to stay on track and fun to use. These cute ones are designed by Natalie Rebecca Designs. She has all different styles and designs that fit the various organizers that exist. This binder is full of pockets to tuck things away in...I love it! I use the little clear pocket to tuck time sensitive coupons in so that I remember to use them before they expire, especially the 50.00 ones I sometimes get from Pottery Barn. I hate when they have expired and I didn't use them...sheesh! Free money should always be used right? So, I will be bringing this little organizer with me to work and it will be on my desk open when I am home. I'm hoping that if I keep it with me in plain sight I will reach for it when I have a thought or remember something I need to do until it eventually becomes habit for keeping me a bit more organized. We'll see....as Ken said when he saw it..." You certainly do TRY to be organized"..ha! Over the last few months I have been testing some new yarn bases from a few different mills and playing with some new dye colors. I took some time this Summer to swatch and test the different bases and have found a a couple that I really love. 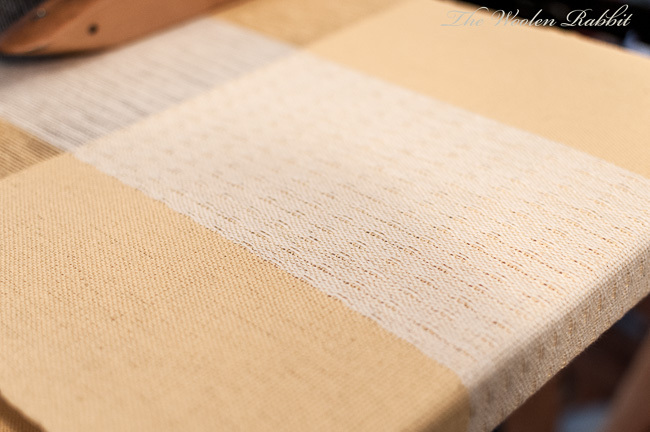 The yarn in the picture above is called Egret as you can see from the label. Even though I live in the mountains, my heart will always belong to the ocean, so when I received this beautiful snowy white yarn from the mill I instantly thought of the favorite snowy white Egrets we frequently see when we kayak on the Salt Marshes in Scarborough Maine. 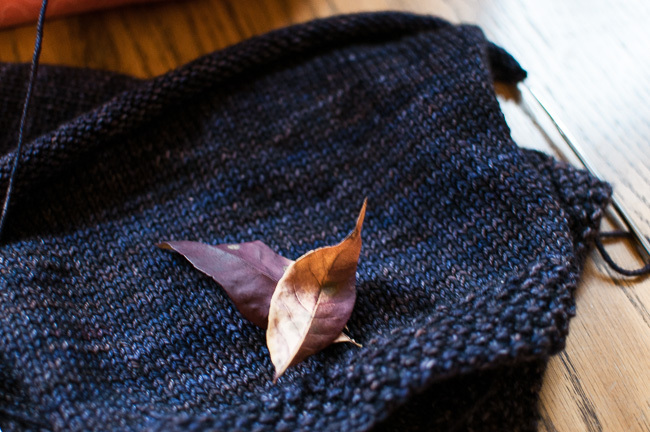 Egret is a lightweight sport natural yarn that is a joy to knit with. As much as I enjoyed the swatch that I knit, I am really looking forward to knitting a sweater with this yarn! I will have a bunch of this yarn with me this weekend when I am vending at the Fiber Revival this upcoming weekend. 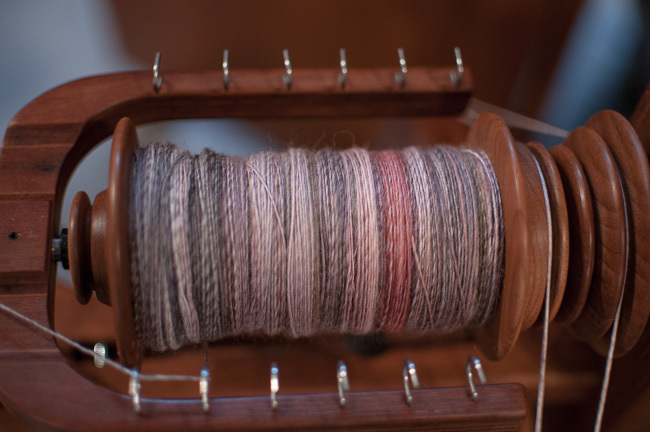 Fiber revival is hosted by the Newburyport Spinners and Historic New England and is a super fun fiber get together, where you can spend the day with friends knitting and or spinning on the beautiful greens of the Spencer Peirce Little Farm. In addition to fiber, friends and wonderful classes, you will also find delicious food, a beer truck from Ipswich Ale and a Vintage Baseball Game. There truly is something for everyone! This year Abby Franquemont, author of "Respect The Spindle" will be there again as a special guest teacher teaching, so if you are looking for something to do, head on over to this special little farm on the greens of Newbury, Ma. I have not been here for a while, but remembering my word from January, I am trying to sort through the clutter that keeps me from finding harmony. Bit by bit I am making progress V E R Y slowly. I think I may need a few more years to complete this task..ha! I have missed blogging. Sometimes I get paralyzed by all the goals that I set for myself. Does this happen to you? I find that I end up doing nothing except spending hours on line looking at the amazing things that so many others do and yes I learn a ton from my reading and have grown as an artist, but it's time to put the reading aside and get back to creating and connecting with friends. I plan to be here a whole lot more....I've missed my friends, you always give me inspiration!